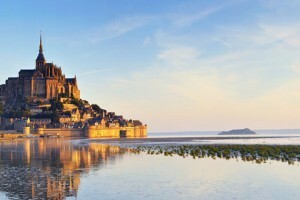 is a must see travel area in France for those visiting the region. The area was once referred to as Cote du Nord, which references the very northern location of the area. Cote de Armor, located in extreme northwest portion of France is technically a part oif the Brittany region of the country. Cote de Armor is one of the departments located in the region. Travelers and visitors alike choose to explore the area as it is best known for being steeped in rich historical significance as it is one of the original departments established following the French Revolution. Ample historical buildings, reference points and echoes of a time gone by make vising the area suitable for those seeking to better understand French history. Small villages line the green countryside and the other side of the area is filled with coital views, small fishing piers and ports and plenty of open areas to walk and explore. The diverse area, with half of the area being coastal and rich in fishing tradition, pairs nicely with inland areas which are rolling hills and meadows where farming still permeates the majority of households. The pink granite coastline portion o the area is not be missed as the pink stands out and shimmers against the sandy beaches and sparkling waters. This fishing village is ideal for those seeking to relax and experience a part of French culture which harkens back to a time gone by.